Robocallers and spammers who “spoof” — display a familiar-looking number to trick phone owners into answering — would be charged with a felony under a bill that unanimously passed in the Senate on Monday. Senate Bill 514 — sponsored by Sen. Jonathan Dismang, R-Searcy, and Rep. Clint Penzo, R-Springdale — was initiated by Arkansas Attorney General Leslie Rutledge. SB514 would raise the penalty for spoofing from a Class B misdemeanor to a Class D felony, which is punishable by up to six years in prison and a fine up to $10,000. 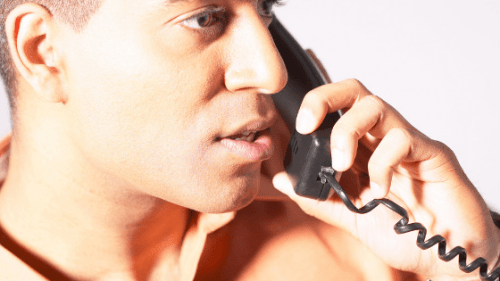 Spoofing is when a caller falsifies information, such as using a local phone number prefix or a personal name, that is displayed on caller identification to disguise their identity and increase the likelihood that the recipient will answer the call, according to the Federal Communications Commission website. The tactic is often used by those with fraudulent motives as a way to get personal financial information, the website said. The response in the Senate was jovial as Dismang presented the bill. Sen. Mark Johnson, D-Little Rock, said his wife told him not to come home if he didn’t vote for the bill. Johnson then asked Dismang how out-of-state or out-of-country scammers could be reached for prosecution. SB514 would also put the onus on telecommunication companies to implement preventative measures to stop the illegal practice by requiring an annual report to the Arkansas Public Service Commission detailing the steps taken to identify and block the robocall perpetrators. “The PSC would then take all that information, compile it then, hopefully, one of the outcomes will be best practices that can later on can be adopted here in the state,” Dismang said. Dale Ingram, spokesman for AT&T, declined to comment when asked about the possible impact of the bill. Messages left for a spokesman for Windstream Holdings were not returned as of late Monday. In November, FCC Chairman Ajit Pai issued a staunch call to telecommunications companies to adopt the SHAKEN/STIR protocol, which uses authentication technology to identify false numbers. Dismang said all legislators have likely heard of the issue from many of their constituents.